New bridleway…to be or not to be ? In March 2014 Werneth Area Committee agreed to a proposal to build a new bridleway. The existing footpath from the car park, by the stream and through Little Wood would be closed. A new bridleway would be built so that horses could go around a circuit in the fields, including the Coronation Meadow. In July, a casual remark from a council employee alerted the Friends of Chadkirk to the plan. From July to November, Friends of Chadkirk set about learning more about the plans, so that other users groups might be consulted about the desirability of the proposal and to get some idea of how it might affect the environment. In November 2014 Werneth Area Committee met and decided to request that more information was collected and a report submitted. The Werneth Area Committee met again on Monday 8th December. Chadkirk bridleway was Item 10 on the agenda. Since this date (March 2014) and prior to works starting on site or indeed the Deed of Dedication being drafted a number of issues have arisen. It is possible that had the Committee been aware of these issues at the time the resolution to dedicate the bridleway might not have been made. The Area Committee is recommended to reconsider the dedication of a bridleway at Chadkirk Country Estate, marked A-B on the attached plan given the considerations listed within the report. A representative of the Corporate Director for Place Management and Regeneration submitted a report (copies of which had been circulated) outlining the current position with regard to the dedication of a bridleway at Chadkirk Country Estate previously approved by the Area Committee at its meeting on 10 March 2014. RESOLVED – That consideration of this item be deferred to a future meeting of the Area Committee pending a full consultation on the proposals to rescind the previous decision of the Area Committee to make an Order to dedicate a bridleway at Chadkirk Country Estate as marked A-B on the plan attached to the report. 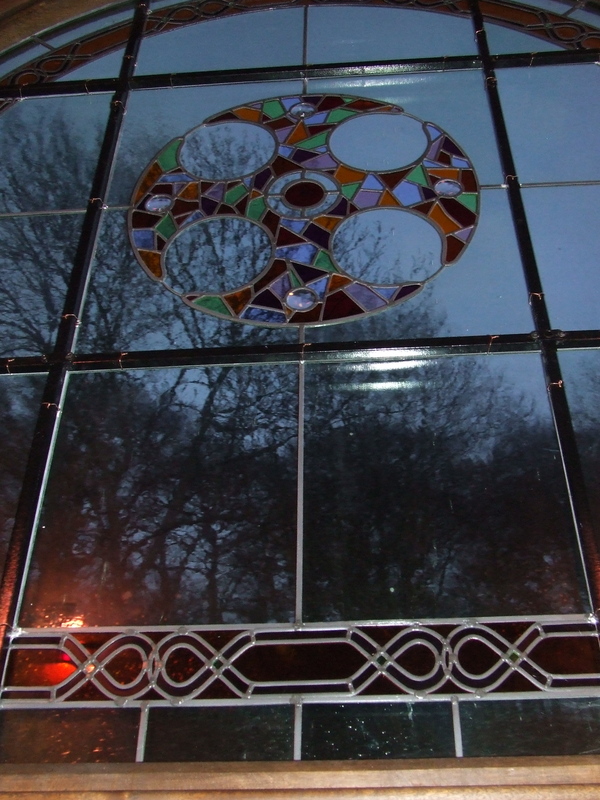 The Friends of Chadkirk Chapel, Country Estate & Local Nature Reserve are a group of people who love the Chapel and the peace and tranquillity of the Vale of Chadkirk. They help in a variety of ways to maintain and develop this beautiful estate which is owned and maintained by Stockport MBC. We would welcome anyone who feels they could help or are just interested in what we do. Meetings of The Friends are held bi-monthly in the chapel and all members are very welcome to attend. Minutes can be seen on request. We ask for an initial joining fee of £5 per household* (cheques payable to ‘Friends of Chadkirk’) towards postage and expenses. 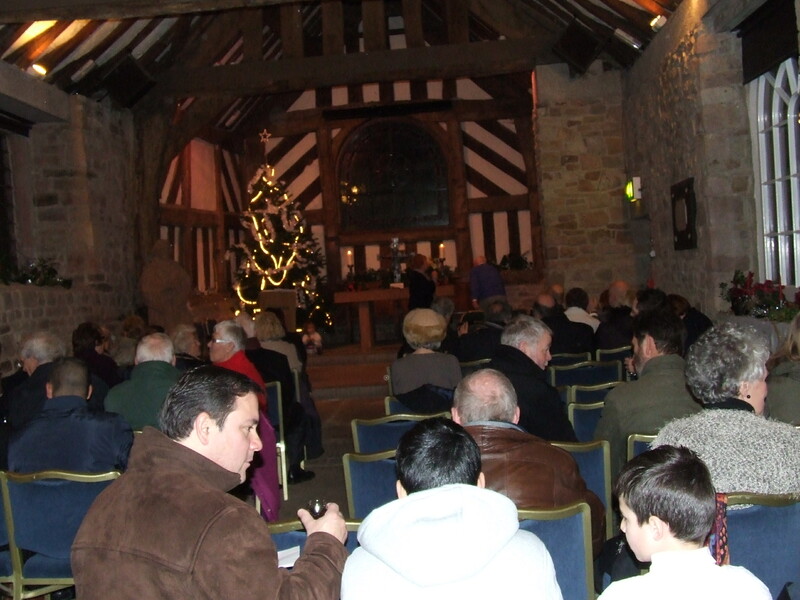 Our Carol Services were heart warming, convivial and uplifting. Whilst my flash photography cannot capture the colour and warmth, the snaps give a glimpse. It’s a joy to feel the festivities begin in such a location. To walk along the lane under the light of a moon just past full and to share the carols and readings in this ancient chapel, is a special evocation of the spirit of the season. Afterwards guests lingered and chatted over mince pies and sherry. The generosity of guests was expressed in several ways. There were those who expressed their pleasure with smiles and words. And others placed coins and notes into a bowl on the way out, aware that this was for the benefit of the Guide Dogs for the Blind which was the nominated charity for this event. the retiring collection yesterday for Guide Dogs raised an amazing £200! I know that sounds like a ‘cooked’ figure, but only because I put 49p in to make it up! 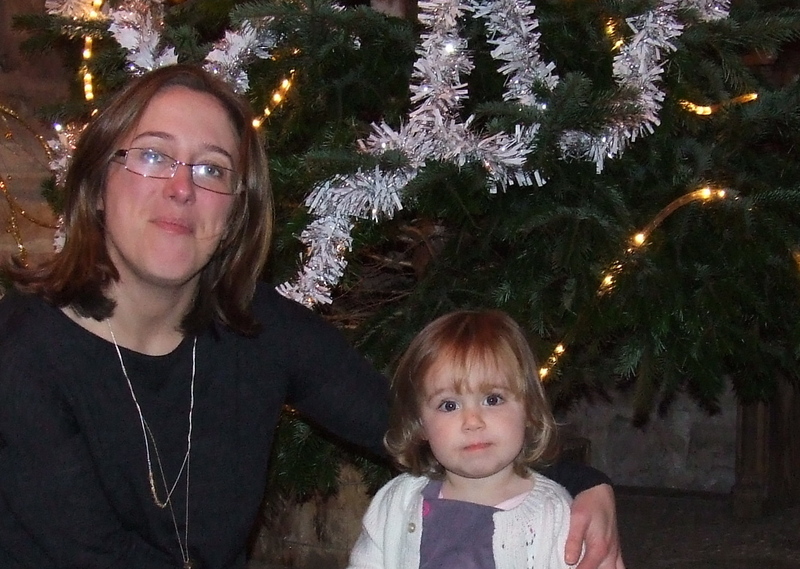 This weekend there’s the traditional Carol Service in the Chapel. On Saturday some of the team will be in the Chapel at Chadkirk adding a festive touch to the interior with some decorative adornments. On Sunday 7th December there are two services. At 3pm Will Hunter of Woodley Methodist Church will lead the singing. 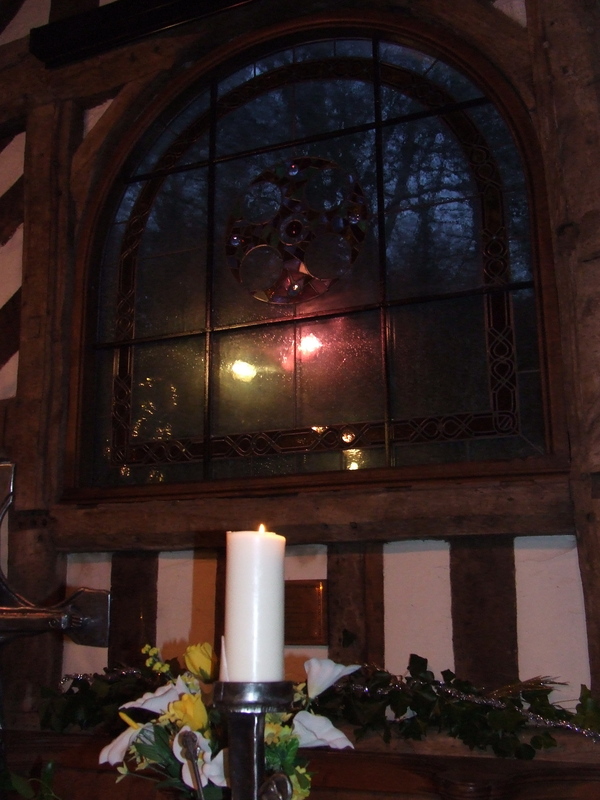 At 4-30 pm Andy Bull of St Mark’s Church, Bredbury will take the celebrants through the service. 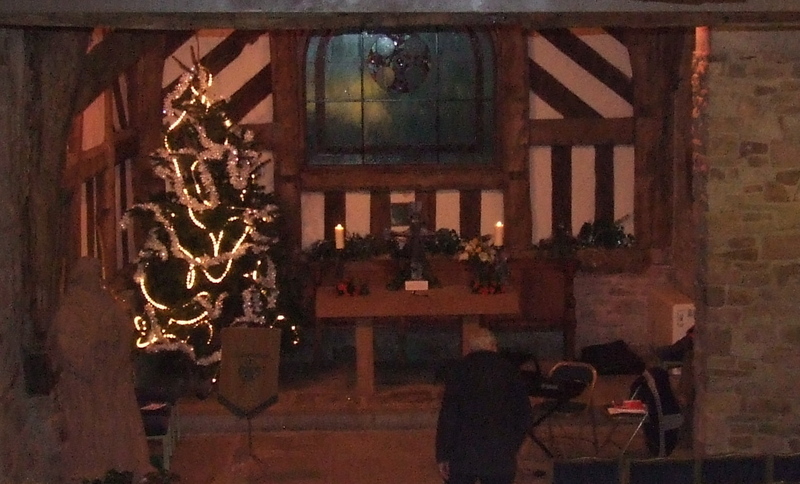 It’s a beautiful setting for the service. A chance to feel some awe and wonder. Or some joy and gratitude. Though please wrap up. The heating system in the Chapel might also feel historic, so if you’d like that feeling of joy to reach fingers and toes, then gloves and thick socks will help! Please note: As space is limited, entrance is by ticket only. Tickets are issued via Staircase House, on a first come first served basis. For this Sunday’s services, these tickets have all been allocated. For 2015 watch this space for notification when tickets are available for the next opportunity to join the Carol Service at Chadkirk Chapel.